Michigan has some of the most complex liquor laws in the nation and when combined with the local laws of individual cities and towns acquiring a liquor license in Michigan can be a time consuming and expensive exercise for you. The expertise of a local experienced liquor licensing attorney, gives you, the purchaser, peace of mind and security when negotiating these laws. Not only are there specific requirements for hotels, clubs, taverns, brewers, wine makers, distillers, resorts and redevelopment projects, there are sub classes in most categories with specific guidelines governing the sale and distribution of liquor. The definitions of hotels, resorts, taverns and their various classes are confusing to the layman and the edicts governing the sale of alcohol on and off premises and the rules concerning additional bars, banquet facilities, catering, living quarters, outdoor service, Sunday sales, dance , entertainment and after hours food all need to be understood and adhered to. And there are the usual governance requirements concerning the sale of alcohol to minors, and intoxicated persons that you the licensee need to be aware of and to ensure that all your staff are trained and comply with. Our firm of Mekani, Orow, Mekani, Shallal & Hindo P.C. has vast experience in handling all manner of liquor licensing acquisitions and transfers in the many counties and cities in the state of Michigan. This local knowledge cannot be underestimated. The Michigan Liquor Control Code can be intimidating to the uninitiated but our firm has an intimate understanding and detailed knowledge of the code. We fully understand and are totally conversant with the procedures for obtaining or transferring a liquor license in Michigan. Our local expertise will help you navigate the intricacies of individual city requirements. Local knowledge and established local networks are critical when negotiating the acquisition and transfer of a liquor licence. Mekani, Orow, Mekani, Shallal & Hindo P.C. have worked diligently and closely with the staff and commissioners of the Michigan liquor control board over many years. These professional relationships have helped us pave the way for smooth and seamless transfers and acquisitions and transfers. Our local knowledge counts. Our firm will help you understand the complexities and obligations of liquor license ownership and guide you through the legalities of subletting, transfers of interest, alterations to the size of premises, closure and license renewal. It can be a costly exercise to assume that you are doing the right thing. Penalties for breaches of the Michigan Liquor control code can be quite severe. It makes good sense for you to engage a local liquor control law expert who will help you avoid costly pitfalls. Not engaging a local firm thoroughly conversant with Michigan liquor control law could considerably delay the licensure of your business. Without a license a liquor business cannot open. Safeguard your investment in your business by using our local expertise and knowledge to make your liquor licensing purchase a relatively simple process. We understand that running your liquor business profitably is your first priority and you don’t want to be caught up with needless delays of license acquisition or compliance. You need experts to handle your legal licensing arrangements while you get on with the business of running your business. Our firm of Mekani, Orow, Mekani, Shallal & Hindo P.C has the local knowledge, skills and expertise to make your liquor license acquisition a quick efficient trouble free affair. 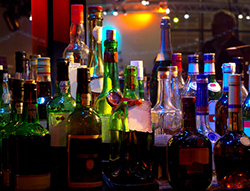 Contact us today and take the worry and confusion out of your liquor license acquisition.